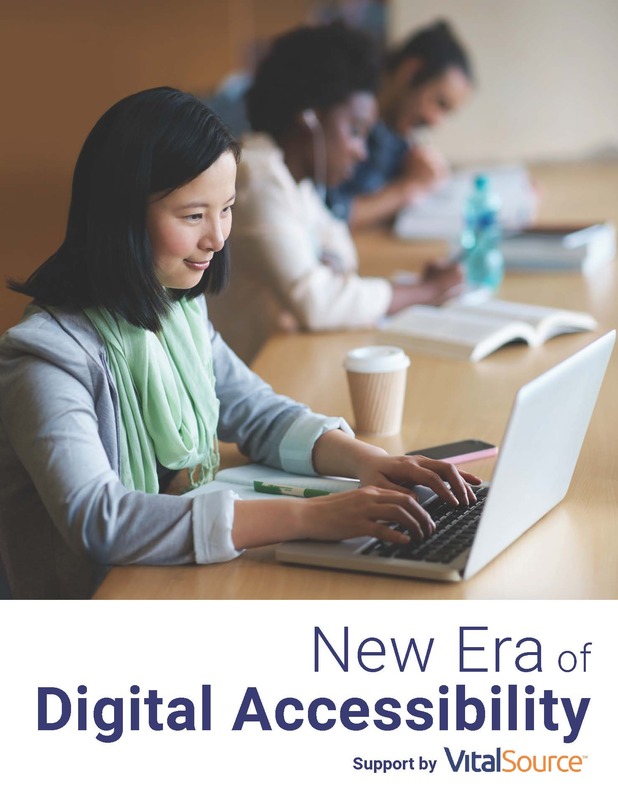 Feb. 28, 2017 -- Inside Higher Ed's new compilation of articles focuses on efforts to make educational materials accessible to all students, including those with disabilities. You may download the print-on-demand booklet, free, here. And you may sign up here for a free webinar on the themes of the booklet, on Tuesday, March 21, at 2 p.m. Eastern. This compilation was made possible by the financial support of VitalSource.